Do you need an agreement for permission to sublet your apartment or home? For example, because you temporarily will become a host on Airbnb? 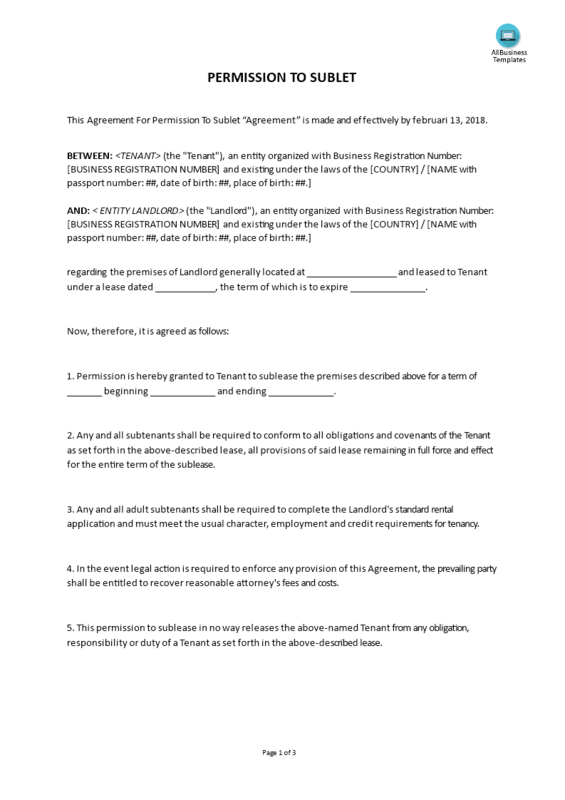 Download this Agreement for permission to sublet template now! We provide a template that will professionalize your way of communication with your landlord or tenant. Download this Agreement for permission to sublet template and after downloading you can craft and customize every detail of its appearance very quickly. Using our Agreement for permission to sublet template guarantees you will save time, costs and efforts!